American Idol runner up Jessica Sanchez pays tribute to Whitney with the late legend's signature song, "I Will Always Love You." 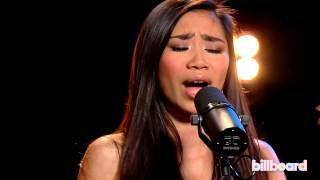 Jessica Sanchez Sings "I Will Always Love You"
Jessica Sanchez sings Whitney Houston's 'I Will Always Love You' Videos; Videos; ... Whitney Houston's New Song. Videos. Jessica Sanchez's Five Favorite Live Artists. X FACTOR 2009 - LUCIE JONES SINGS "I WILL ALWAYS LOVE YOU"
Sara Bareilles - "Single Ladies" Beyoncé cover Live!